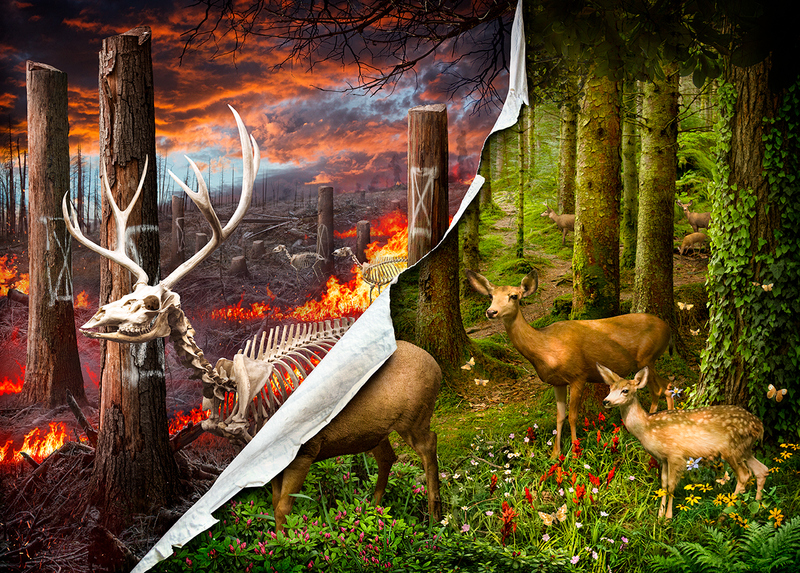 “Slash+Burn” was created in response to the growing issues of deforestation, industrial pollution, and the current administration’s efforts to gut environmental protections. The image envisions a quaint, springtime forest scene that is being ripped open to reveal layers of fire and clear-cutting underneath. With this project I wanted to portray the costs associated with slashing environmental regulations by showing what could be lost. Limited print-edition available from Arch Enemy Arts, as part of “Bloom”, a spring botanical exhibition. 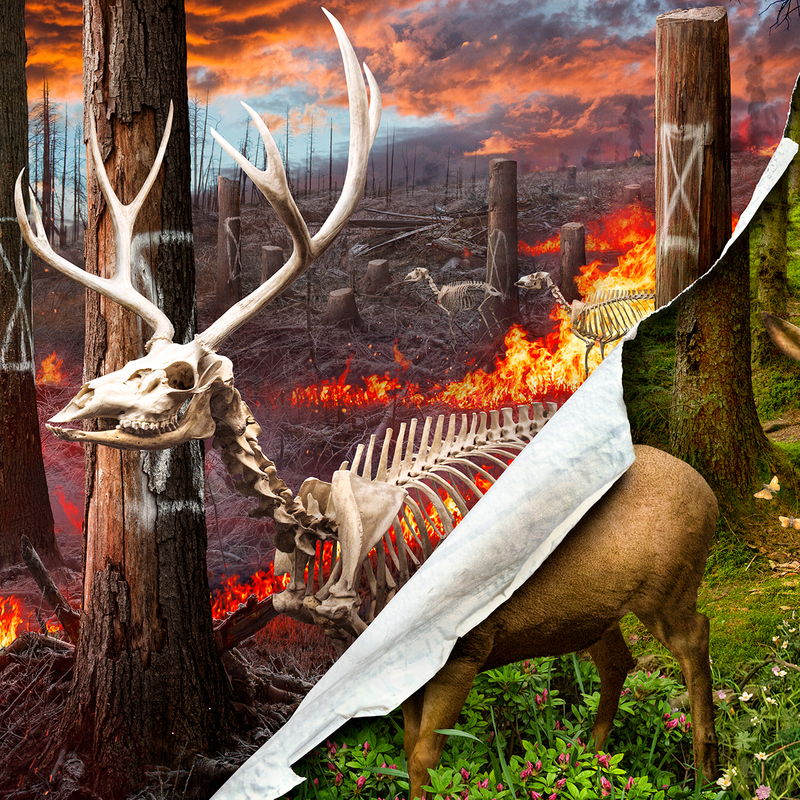 “Slash+Burn” was created in response to the growing issues of deforestation, industrial pollution, and the current administration’s efforts to gut environmental protections. 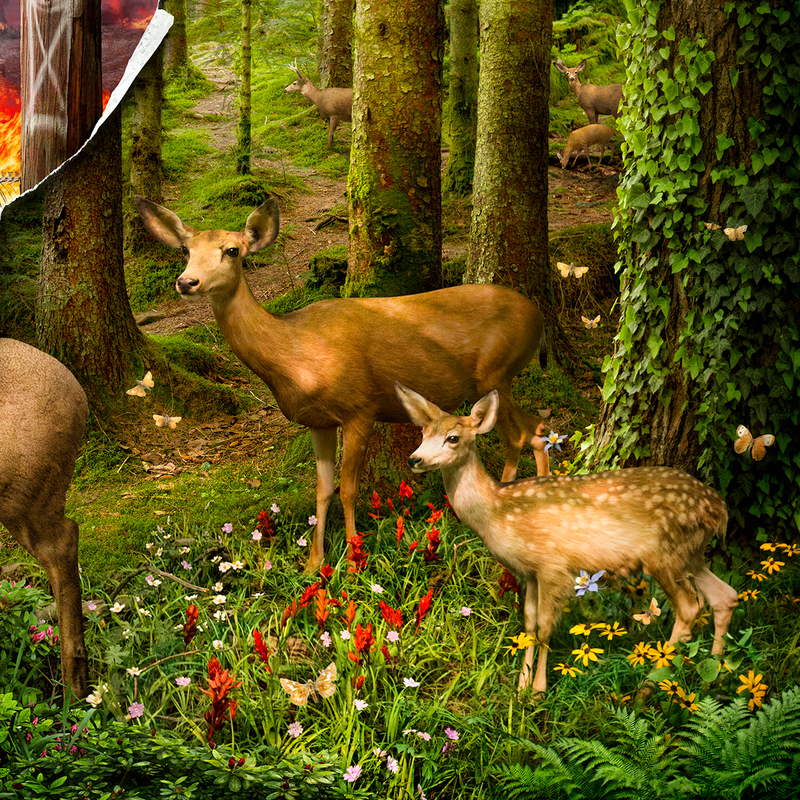 The image envisions a quaint, springtime forest scene that is being ripped open to reveal layers of fire and clear-cutting underneath. With this project I wanted to portray the costs associated with slashing regulations by showing what would be lost.